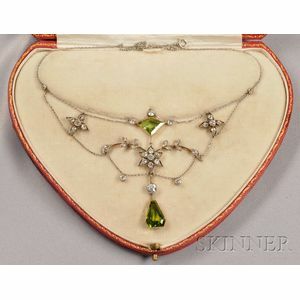 Edwardian Peridot and Diamond Necklace, bezel-set with fancy-shape peridot and old European and old single-cut diamond floral and foliate motifs, approx. total wt. 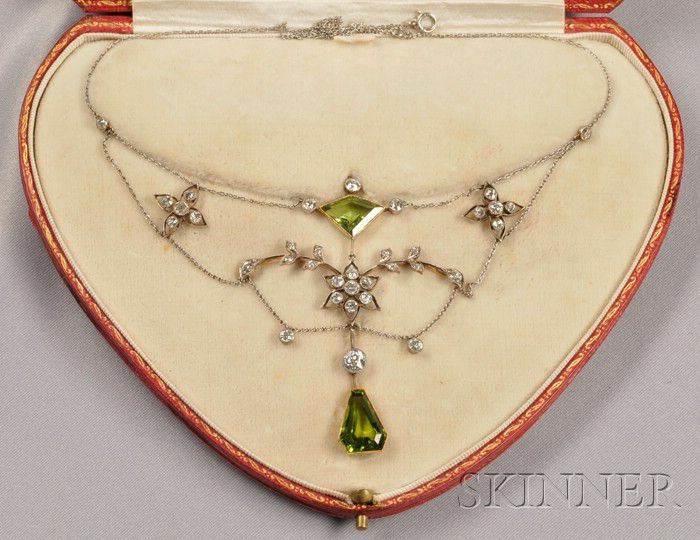 2.30 cts., platinum, silver, and gold mount, joined by swags of delicate platinum chain, lg. 18 1/4 in., in a period box.